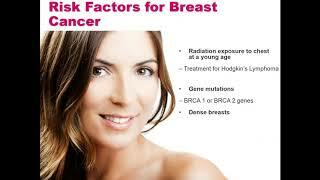 Dr. Jamise Crooms goes over breast cancer symptoms, next steps, and prevention tips! Kelsey-Seybold Urologist, Dr. Benjamin Dillon, goes over common uncomfortable things females deal with as well as helpful tips and prevention tips! Kelsey-Seybold Gastroenterologist, Dr. Sahil Mittal, discusses what you can do to keep your gut healthy and happy, while also debunking some common gut health fads and myths! Listen as Kelsey-Seybold Pediatrician, Dr. Kathryn Wright goes over how to get you back into school routines after summer beak! Listen as OB/GYN physician Dr.Kathy Sander discusses when a woman should be going to her doctor and why during different life stages. Dr. Richard Harris goes over 4 ways to help you get summer ready the safe and healthy way! Listen to learn prevention as well as heart healthy tips to keep your ticker ticking. Heart disease is the number cause of death for men and women, learn how you can lessen your chances! Learn about the damaging and negative effects on childrenÛªs social and emotional skills, especially during the vital developmental stages, usually between ages 0-5, and how to help them put down the devices they're so attached to. RD Ronda Elsenbrook explains what foods you should include in your diabetic diet, and what exercises you should be doing to manage your diabetes. Getting your kids to eat better can be tricky, but worth it in the long-term! Kelsey-Seybold pediatrician Dr. Jessica Lanerie will go over some tips on how to get your kids on a healthier eating path. Pediatrician physician Dr. Erin Eckhart goes over 3 tips to help ease into the new school year. Prolapse, incontinence and UTIÛªs can be an uncomfortable conversation but an even bigger inconvenience on your day to day life.TodayÛªs speaker, Urologist Dr. Benjamin Dillon will go over information about what could be going on down there. Kelsey-Seybold dermatologist Sue Ann Douglas give a comprehensive overview of the revolutionary Fraxel laser treatment for skin rejuvenation. Kelsey-Seybold sports medicine physician Ije Nwaeze, MD, outlines 7 ways to exercise safely and still get the results you want. Kelsey-Seybold allergy specialist, Dr. Lyndall Harrison, outlines what you need to know for the upcoming allergy season. Pearland, TX Internal Medicine Physician Dr. Steffanie Campell outlines what you need to do to keep your heart healthy this year. Registered Dietitian, Humaira Maqbool, reviews which foods you should and should not include in a Diabetic diet. Registered Dietitian Ronda Elsenbrook, gives tips and advice on how to eat out if you have Diabetes. Kelsey-Seybold physician, Tom Thomas, D.O. talks about the new insulins and diabetic treatments available for diabetic patients. Dr. Walker outlines how to prepare for a workout, and make sure your body stays in top shape. Kelsey-Seybold Clinic OB/GYN physician, Dr. Deepali Patni talks about the facts of menopause. She gives insight on what to expect, the symptoms and how to relieve those symptoms in her July 8 Webinar Wednesday presentation. Breast cancer is the second most common cancer among women and about one in eight women will be diagnosed sometime during their lifespan. Chances are ÛÒwhether itÛªs your mother, sister, friend or coworker ÛÒ you probably know of someone who has been diagnosed with breast cancer. While most people are aware of October being National Breast Cancer Awareness Month, many forget to take the necessary steps to educate themselves and to remind others about the prevalence and impact of the disease. Learn the basics of breast cancer from Kelsey-Seybold board-certified Family Medicine physician Dr. Meena Eswaran. Houston is home to dangerously hot temperatures and high levels of humidity. Without proper precautions, the summer heat can be unbearable. Pearland Internal Medicine Dr. Satish Naik, shared tips on how you can protect yourself from heat-related illnesses. View Upcoming Webinars | http://www.Kelsey-Seybold.com/Webinars Make an Appointment | http://www.Kelsey-Seybold.com/Appointments Millions of Americans suffer from back and neck problems. Dr. Pringle discusses how Chiropractic Medicine and acupuncture can help alleviate the pain. Webinar Series: Real Patients, Real Stories - Ep. 1: Meet Lily after a difficult diabetes diagnosis. 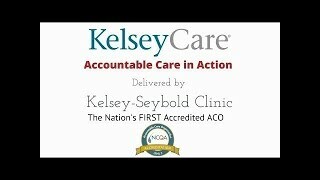 Get a Quote | http://www.KelseyCare.com/GetaQuote Learn about KelseyCare | http://www.KelseyCare.com Make an Appointment | http://www.Kelsey-Seybold.com/Appointments Kelsey-Seybold Clinic presents Real Patients. Real Stories. Did you know that how you feel on the inside could be affecting how you look on the outside? The good news is that certain lifestyle changes can help work in your skin's favor. Dermatologist Anita Mehta, M.D., reveals some ways you can prevent stress from getting under your skin during this Webinar Wednesday presentation. 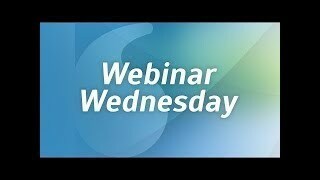 Webinar Series: Real Patients, Real Stories - Ep. 2: Meet Joe, cancer survivor. Get a Quote | http://www.KelseyCare.com/GetaQuote Learn about KelseyCare | http://www.KelseyCare.com Make an Appointment | http://www.Kelsey-Seybold.com/Appointments Join Chief of Hematology/Oncology Dr. T.J. Patel as he walks you through Joe's journey, a 54-year-old cancer patient who benefitted from closely coordinated cancer care with his medical team at the Kelsey-Seybold Cancer Center. Dr. Patel contrasts KelseyCare's highly coordinated "accountable" care and its direct benefit to patients and families, against "traditional care" approaches that lack the close coordination and teamwork that today's patients demand and deserve.